A crackling fire in the hearth of your fireplace imbues a true winter ambiance in your home. But if you've ever used wet, unseasoned, or the wrong type of wood, you know how frustrating starting a fire can be. So to keep the flames flickering, and your living room warm, refer to our guide for the best types of wood for burning in a fire. Like a fine Scotch, the most important factor is that they've aged long enough to easily split with your log splitter and burn in a fire. 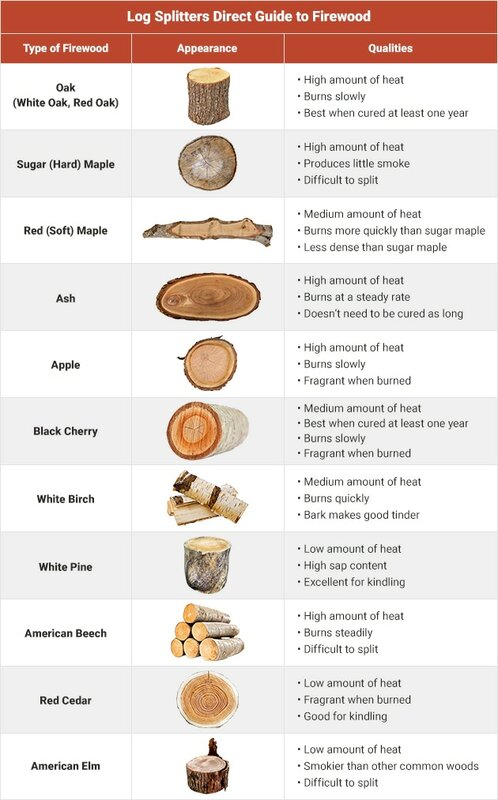 You can use any of these as firewoods, but some burn hotter and longer and that's why we've recommended those. Just make sure the wood isn't wet, as much of the heat energy will be lost evaporating the moisture. Best Wood For Fires.. Our Power Equipment Direct how-to library can help you learn about Understanding the Janka Scale, Proposition 65 Product Labeling and Sales Tax Information.